The following experts have kindly provided their views for the website via Roger Hall the Champion of the ‘Community of Interest’. 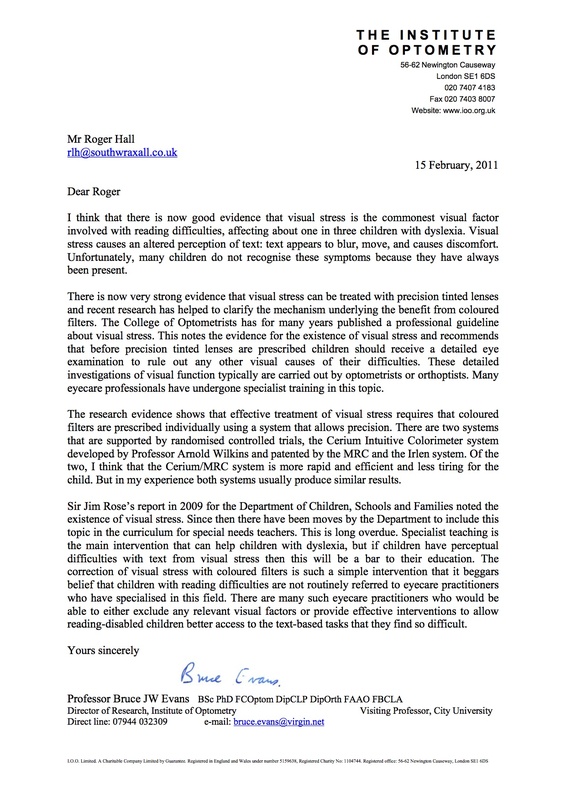 “A group of coloured lens distributors, and those sceptical about the claims of this group, agreed the wording of nine questions to be asked of children to explore the prevalence of symptoms thought likely to make reading harder. The coloured lens makers claim all nine symptoms can be helped by their lenses. The opinion of the team at UCL was sought because the team has asked questions of the public for over forty years, and relies on answers to simple questions. 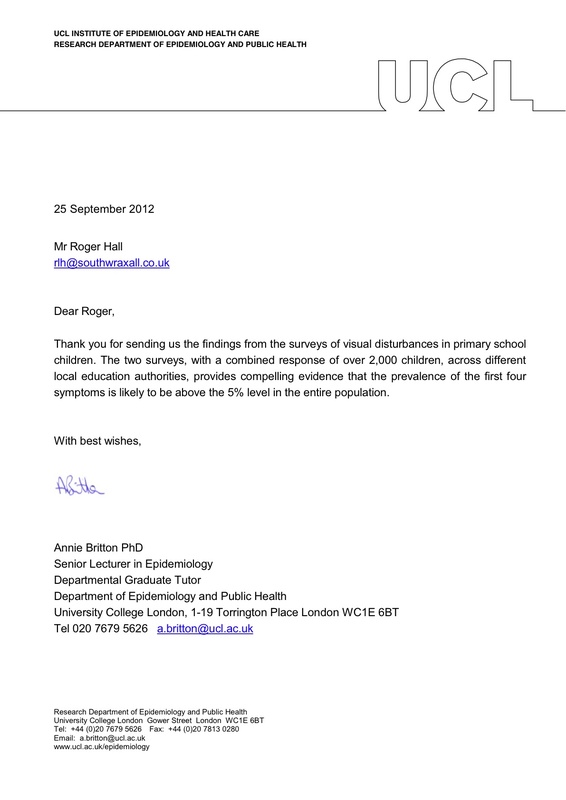 They are in a strong position to judge the validity of two prevalence surveys carried out. Their conclusion confirms previous work, and provides good reason to explore the truth of claims that coloured lenses can ameliorate, or remove, the symptoms experienced by many of these children. An expensive Randomised Controlled Trial is suggested as the best vehicle to test coloured lens makers claims, but has not yet been agreed (October 2012). 1. Do the letters or words go fuzzy or blurry? 2. Do the letters or words move? of each other – ‘double vision’?